This internationally significant photographer made his name photographing Liverpool and Merseyside. This UK premiere looks at people’s everyday experience of a regional icon – the Mersey River. The Mersey Ferries operate between Liverpool and the Wirral peninsula. 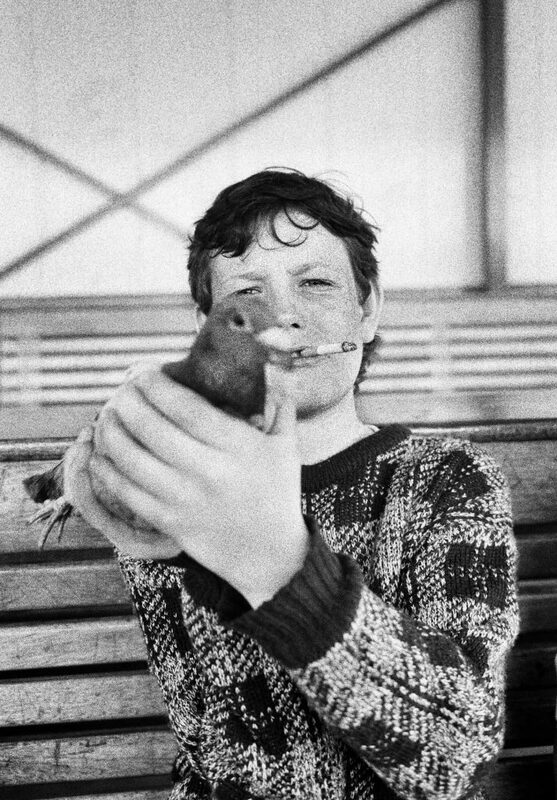 Photographer Tom Wood lived in New Brighton for 25 years, and for most days throughout the 70s and 80s he crossed the river. Whilst waiting for the ferry to arrive or crossing the river, he took photographs. These images, selected from 1000s of rolls of film, form The Pier Head – Tom Wood. They will be shown just two minutes away from the Pier Head terminal itself. Most of the images are being shown in the UK for the first time. A new book, Termini, will launch with the exhibition, featuring a range of images from the show, together with specially written text by poet and writer Paul Farley. Two of Wood’s previous books – Photie Man and Looking for Love, are in included in Source Photographic Review’s list of The Greatest 150 Photo Books of All Time. The work in The Pier Head – Tom Wood was made at a time when being casually photographed was far less common than now. The 90 plus images on display show commuters, families, friends, the old and the young making the everyday journey across the river, over a kilometre from shore to shore. Like many cities worldwide, Liverpool has been undergoing a long transition from industrial powerhouse to service city, with many of its functional maritime spaces becoming repurposed. For generations the Mersey Ferry has been and remains a key transport link across the River Mersey, with ferries running continuously between the Pier Head, Liverpool City Centre, and Seacombe and Woodside on the Wirral peninsula. Although many still use the ferry to commute, trains and buses have become the primary means of transport over the river for commuters, with the Mersey Ferry becoming an increasingly popular tourist attraction. The Pier Head – Tom Wood is accompanied by a project called Ferry Folk, from artist and producer Liz Wewiora. Working with Merseytravel as their artist-in-residence, she has been carrying out a socially engaged photography project on board the Mersey ferry and around the ferry terminals. The Pier Head – Tom Wood runs from 11 January to 25 March at Open Eye Gallery, Liverpool. A collaboration between Centre d’art GwinZegal, Guingamp and Open Eye Gallery. Curated by Thomas Dukes (Open Eye Gallery) and Jerome Sother (Centre d’art GwinZegal). All images © Tom Wood. All rights reserved.